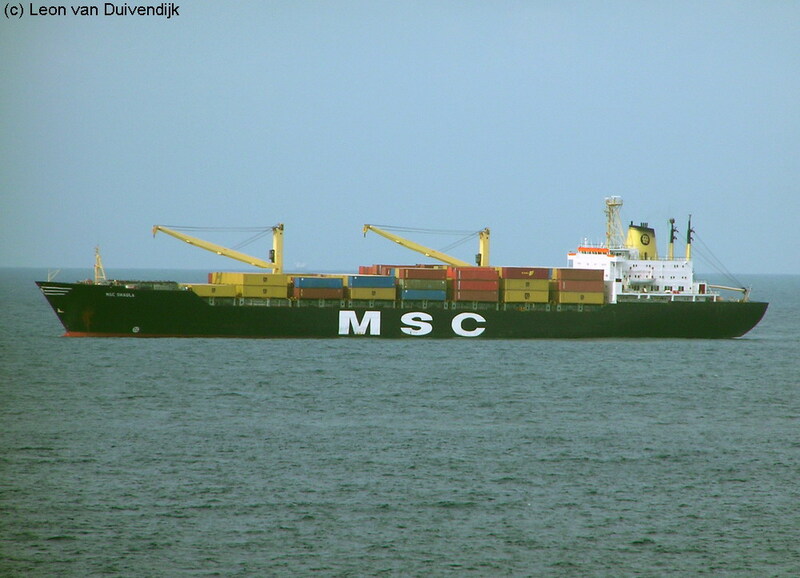 "MSC Shaula" @ Cristobal, Panama. Sold for demolition to India in 2011. Ex names: "MSC Mbashi" (1999), "CMBT America", "Fionia"